April is Global Child Nutrition Month. This is the perfect time to give the globe a “check-up” for developments, efforts, and general information on children’s nutrition in a few regions of our planet. Let's start our journey here at home in the United States. According to the National Alliance for Nutrition and Activity, two-thirds of premature deaths in the U.S. are due to poor nutrition, physical inactivity and tobacco use. Nutrition is a key ingredient to a healthy life-style. It should be on everyone’s agenda, especially those in a position of responsibility to children. Within the United States there are initiatives taking place to battle childhood obesity. The First Lady, Michelle Obama, and former president Bill Clinton have undertaken stamping out this problem as their personal platform. A group of retired military officers going by the name “Mission: Readiness” are calling school lunches a national security threat. These officers are looking at it from a recruitment perspective. A large portion (9 million to be exact) of 17-24 year old are too overweight to join the military. Even those who wish to make that most noble commitment cannot because they do not meet basic regulations to be successful airmen. The Healthy, Hunger-Free Kids Act that just passed the House Agriculture Committee gives power to the Secretary of Agriculture to set forth new standards for school lunches, breakfasts and all foods sold on school grounds. With efforts from the First Lady, “Mission: Readiness”, and many other public health groups child nutrition and combating childhood obesity has been brought to the forefront of policy in the United States. The U.S. is not the only country with a childhood obesity problem. Mexico’s childhood obesity rate is second only to the United States. A health ministry report released in January noted that school children in Mexico have an average of five opportunities to eat in the average school day. This is quite astounding considering the school day only lasts four hours. School lunches and food sold on school grounds is a target amongst Mexican policymakers. North America is not the only region focusing on nutrition issues. Though, the picture in other nations is on the opposite end of the nutrition spectrum. North America has plenty of food for its children. Children need only to make healthy decisions and have healthy options available to them. South-east Asian nations are plagued by a lack of food rather than poor quality. 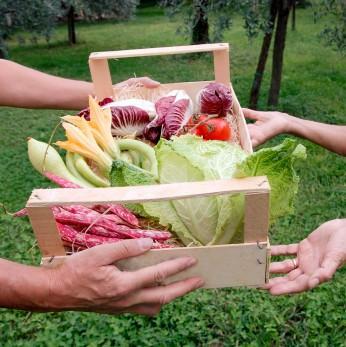 Organizations are engaging in grassroots efforts to develop new food options through farming, herding, and fishing. 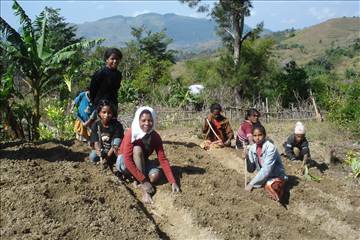 To curb this problem World Vision introduced vegetable crops such as potatoes, carrots, and cabbage into children’s diet in East Timor, a south-east Asian nation. Also, farming techniques and goat, chicken, and fish farming is developing for new sources of food. Cost of food and the heavy effect of weather are serious problems in most of Africa and organizations are working to counteract that fact. Concern Worldwide hosts supplementary feeding programs for malnourished children. The UN World Food Program is also providing supplementary rations to children under the age of five, pregnant women and nursing mothers. Babysitters, parents, school officials, and policymakers should be concerned with the food being distributed to the children of all nations. There are basic guidelines for nutrition and how much of which foods we are supposed to consume each day. With this information in mind we should educate children on proper eating habits. Also, we should support organizations that provide nutritious meals or meal supplements to children in parts of the globe that do not have access to sufficient food sources. No child should go hungry, ever. Where Do Scientists Belong in Policy? HIV/AIDS: From Death Sentence to Chronic Disease? Stress? Enough with that mess!